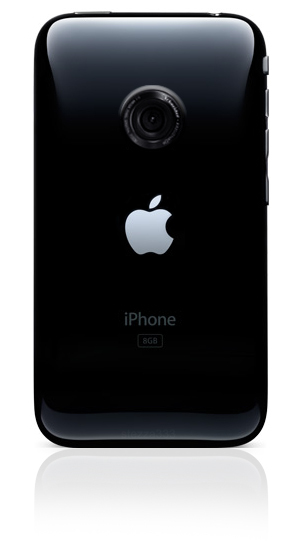 Discussions about which vendors are producing cameras of iPhone 5 finally been revealed. Interestingly, this was not disclosed by the people from Apple, but the outsider is the CEO of Sony, Sir Howard Stringer. Reportedly, the unfolding of the camera specs iPhone 5 occurs when in an interview, Sir Howard Stringer, who was accidentally revealed that his ministry would provide a camera module for Apple. Therefore there is no Apple product that uses the Sony modules currently available, the assumption is growing that the camera units are arranged to iPhone 5. While other conclusions related to the resolution of the iPhone 5 camera, which includes 8 MP, none other than because of any other camera module is a unit of Sony-made camera with a resolution of 16.4 MP. The latter likely will not be adopted by Apple, given the iPhone 5 is not upgraded too far from its predecessor, the iPhone 4, which has a 5 MP camera with a resolution. As a result, to treat a larger screen plus 8 MP camera, and the possible presence NFC features, make the iPhone 5 look more interesting. Apple always pay more attantion to network functionality and design. But I think camera in iPhone 5 will be good. @PHP: with a 8 MP camera, I thought this was very good. My old iphone 4 camera was much better than my current HTC Sensation which should perform better. The shutter speed and HDR on the iphone made it vastly superior. Whatever Apple do - expect it to work perfectly every time. @Windows: I thought for some people who like traveling this can be useful, with high-resolution camera that offered by Apple on the iPhone 5, then he does not need bother to bring a camera if he wanted to travel.